The first feature which grabs the attraction the leaf type golden colour hands on the dial. The stylistic elements of this watch continue to flow to the other end and the four studded golden colour plates at the four hour indices offer a spectacular look. The black colour dial has a slight two toned colour distribution with the darker tone towards the edge and lighter in the middle of the tonneau shaped dial. 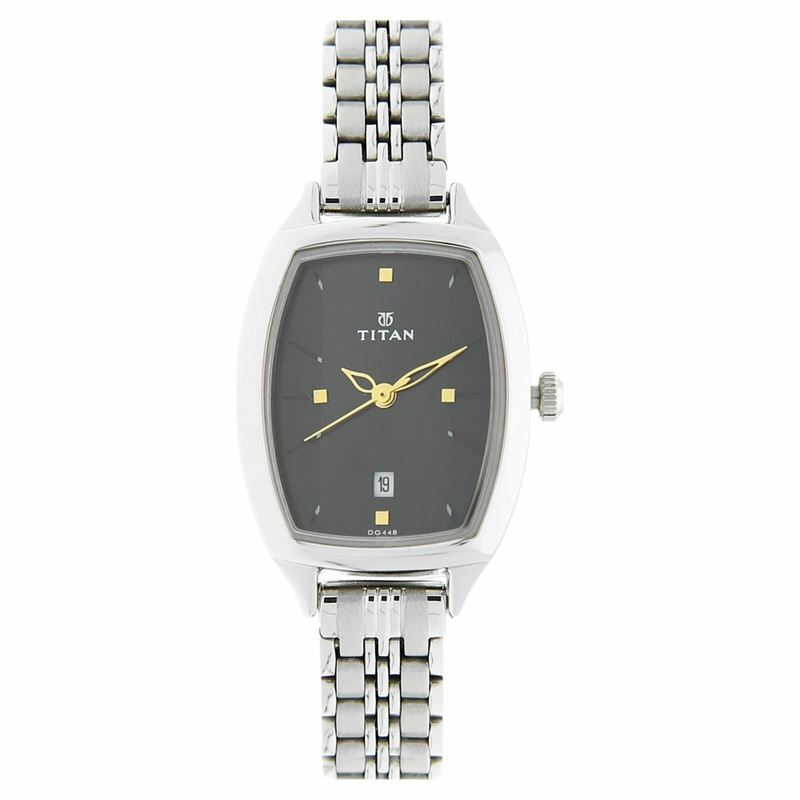 A must have watch from the Titan Karishma collection, the watch comes with a silver colour stainless steel strap.